A morning view from my back patio. The above words are from Timeless Truths Free Online Library. The author of this hymn is not known. The author if this bright song is Ina Duley Ogden. 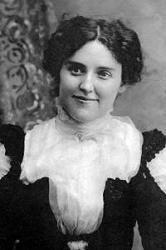 She was born in Rossville, IL in 1872, and died in Toledo, OH, May 18, 1964. I sure do want to be made whole.